Google now providing public DNS | It is what it is, sometimes it helps. These days Google is pretty much everywhere. Personally I have multiple domains hosted with googles apps for email, my main email address is @gmail, my blog is hosted by google ( blogger ), I just purchased 20 gig of storage for $5 per year not to mention the simple fact that when I search I use google. Now they are introducing their own DNS servers. As a quick reference in case your not sure what DNS is put simple it's the phone book for domain names. When you type in your browser www.learncf.com for example, your actaully sending a request to a DNS server to translate the words into numbers ( IP adddress ) then then you get the website data. How do we feel about google doing this translation for us? How much trust do we put into google. The reality is that if so inclined by using googles DNS servers they ( google ) could constantly redirect bing.com to one of googles own servers. That's not to mention that now every single site you visit regardless of you being signed in to google or using a search engine can be logged. There is also the other side. 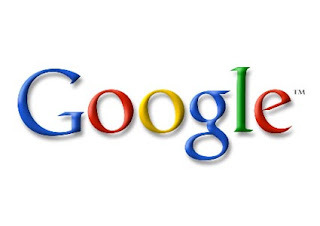 We trust so much with google why not let them provide this service. It's likely to always be up and fast being that they have so many datacenters. At this point in time I'll stick with my ISP's DNS but I guess more options are good thing. And you trust your ISPs DNS servers? I for one use OpenDNS because ISPs are notorious for having slow, outdated DNS servers, not to mention all the shenannigans they pull with DNS. I totally get the skepticism with Google, but I'm much more afraid of my ISP's DNS servers than I would be of Google's. OpenDNS is a great option though. I used OpenDNS for years till I moved to the USA. I really don't know why I haven't set my router back to OpenDNS. I guess out of site out of mind. I just now swapped AD and my router to use OpenDNS. Oh and I would still trust Google far more then any ISP which is why I never use my ISP email accounts.